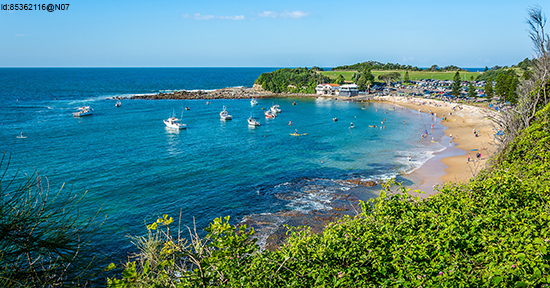 In-the-know Aussies have been flocking to Terrigal, a few miles north of Sydney, since the 1800s. With its top-notch surf, exceptional seafood restaurants and cool laid-back atmosphere, it’s where stressed-out city dwellers come to chill out – but out-of-towners tend to drive straight past. Criminal! You can happily lose a couple of days here, easing into the Pacific Coast lifestyle after a busy round of sightseeing in Sydney. If scuba’s your thing, book a wreck dive on Ex-HMAS Adelaide, less than a mile off Terrigal’s coast – it’s renowned for its excellent condition, gin-clear waters and colourful fishy residents. 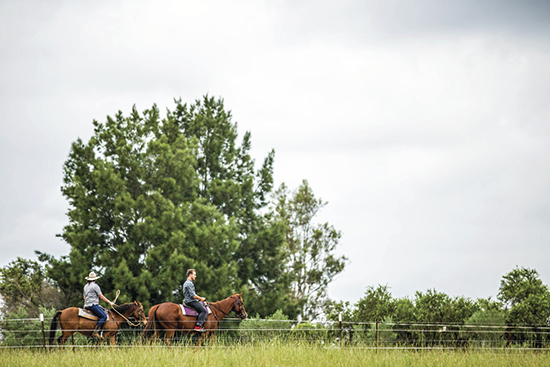 If you enjoy a glass of vino, chances are you’ve indulged in a Hunter Valley tipple or two – with its fertile soils and balmy climate, this picturesque portion of New South Wales produces some of the tastiest wines in the world. There are vineyards aplenty here, so sign up for a tour (and let someone else do the driving) or pick out a few favourites and hire a bike to wobble between tastings. You’ll swig and swill your way around the valley, but don’t forget lunch – most wineries have fantastic restaurants too. What do pineapples, mosquitos and marlin fish have in common? They’ve all been immortalised next to Australian roads, in sculptures of neck-craning sizes. 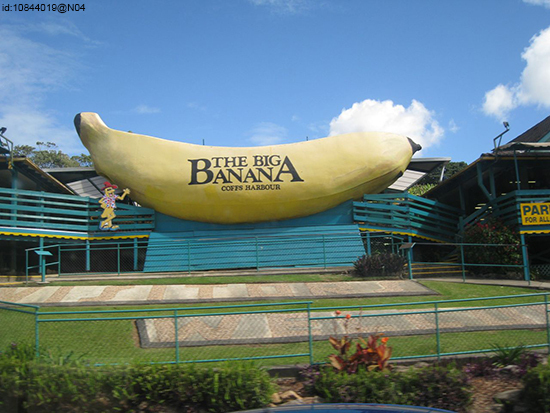 You’ll come across quite a few on your Pacific Coast road trip, but the Big Banana in Coffs Harbour was the sculpture that started the trend, back in 1964. Other whopping wonders to look out for include Newcastle’s Big Mosquito, Taree’s Big Oyster (it now sits atop a car dealership), Kew’s Big Axe, and the Big Prawn of Ballina. Just before you reach Port Macquarie, stop at Manning Valley to let off steam on the bike trails and hiking routes that criss-cross this gorgeous nature reserve. 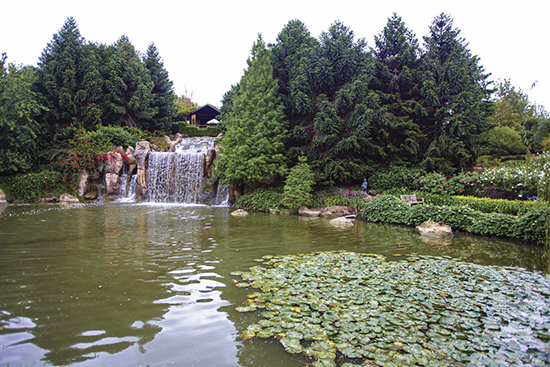 With golf courses, horse riding trips, a paintball pitch, petting zoo and even a skydive centre too, you can easily spend a couple of days here. Don’t miss Manning Valley’s artisan shops and tiny galleries – you’ll find locally-made woodwork, jewellery and food, plus historical museums for a dose of New South Wales culture. Afternoon tea at The Other Side Art Café is a particular highlight: this tucked-away spot overlooks the river and is part of a working art studio (plus the cakes are scrumptious too). The Pacific Coast’s charms don’t stop at its endless white-sand beaches: turn your attention inland to marvel at its wildlife-rich rainforests. 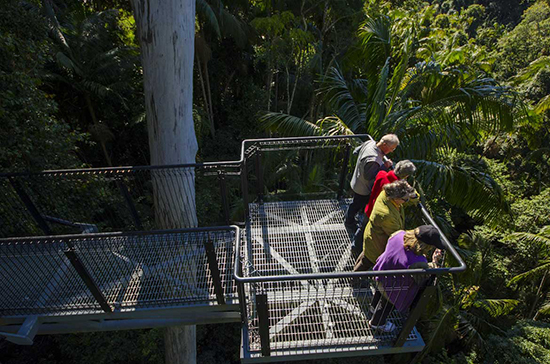 There are plenty of walking trails to meander along, but you can get even closer to the action on a canopy walk – if you’ve got a head for heights that is. 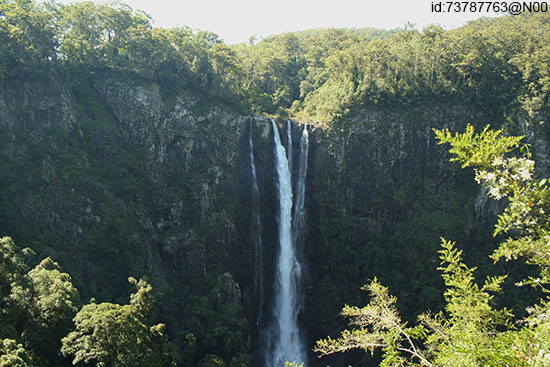 Sea Acres Rainforest Centre in New South Wales and Tamborine Rainforest Skywalk in Queensland (towards Brisbane) are certainly worth stopping off for. Bring a picnic to dine in the dappled shade, then head up into the trees for a vertiginous nature walk. 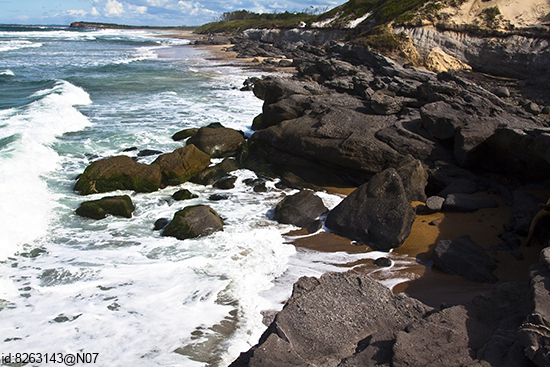 Australia has countless coastal walking trails, but you'll find one of the best in Yuraygir National Park, near Yamba in northern NSW. The trail threads along the 37 miles of undeveloped coastline (the longest stretch in the state), and there are countless isolated sandy coves, craggy caves and picnic spots along the way. Allow four days for the whole route – a nice break if you've been doing all the driving. If you're visiting from June to October, look out for migrating humpbacks along the coast: there are lots of headlands from which to keep watch, plus whale watching tours and fishing trips (bookable through the park's HQ). With its scuba diving, kayaking, surf schools and fishing charters, Straddie is a playground for adventurous souls – and it's only a short 45-minute ferry hop from the mainland. It's also a wildlife-watching haven, with a native bunch of dolphins, manta rays, turtles, kangaroos and koalas: all the iconic Aussie animals on one handy (and lovely) island. During peak season (southern hemisphere summertime), it's best to book your ferry crossing in advance – sailings are every hour, but it gets very busy with daytrippers from Brisbane. After all that driving, this is a great place to reward yourself with a few lazy days on the beach. Experience your own Sydney to Brisbane road trip with our Journeys range of tailor-made holidays. Speak to a Travel Expert on 0800 678 1134 or visit us in-store.